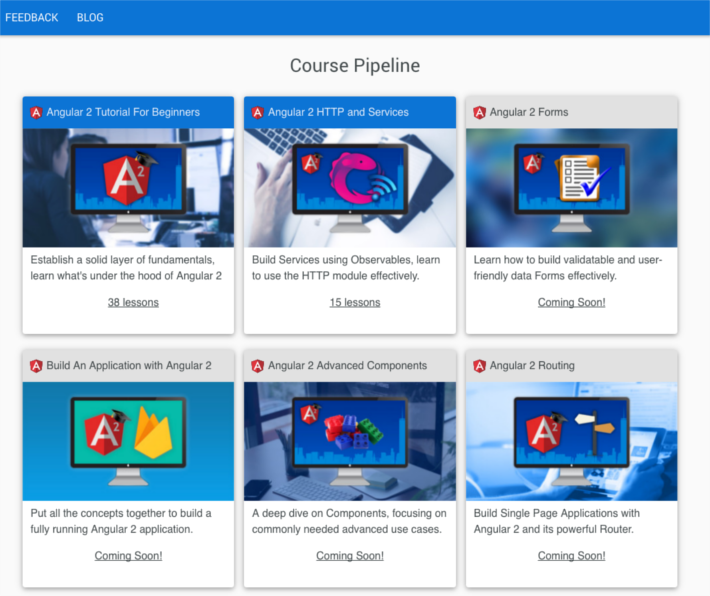 Since Angular started its alpha and the code became available on Github in late 2014, many resources have been created on the web for learning it, especially in the last year. This is a compilation of the best Angular tutorials, blogs and podcasts that we can systematically use and rely on to Learn and Keep Up with Angular. So let's get started, what are the best resources on the web for learning Angular? All the great blog posts on Angular end up in this Subreddit, there are also great discussion threads and the community there is really passionate. You can see that there are a lot of Help Request threads. Many times you will get very good help here. If you want to know what happened in Angular in the last week, you just have to go this Subreddit and everything will be there: this Subreddit is literally "The Front Page of Angular". If you are looking for an in-depth blog on Angular, you should really check the Thoughtram Blog Angular Section. This is one of the original Angular blogs that has been posting very high-quality in-depth content since the very first Alphas. The blog writing style is super clear and the posts are always up to date, the articles are kept updated constantly to the latest Angular releases. There is a lot of research effort that goes into this blog: the reason why it contains such in-depth content so early is that they try the code very early once features are available, and even before as they are being developed - when there is only the code to figure them out and not much else. 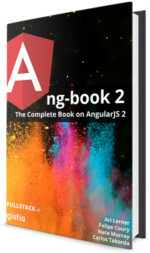 If you only have time to read one Angular blog, this is the one to choose. The content is kept up to date constantly with the new Angular releases. Whole chapters such as the router have been rewritten depending on the changes, the book tracks the framework very closely. This is a pre-release version that is approximately 95% complete. Updates will be released as they are finished (roughly every week). The Minko Gechev Blog is another great resource for learning and keeping up with Angular. This blog is very in-depth and clearly written. It usually does not focus on a unique feature of Angular and describes it in detail, like the Thoughtram blog does so well. If you are looking for guidelines for structuring the architecture of your app, or looking to learn the latest on Angular tooling like the offline compiler, this blog is a must read. Although there are some podcast episodes about Angular 1, the majority of the episodes focus on Angular. The core panelists are very plugged in into whats new in the Angular community as they themselves are the main contributors to Angular Universal and several Angular libraries. So what is important to realize with this podcast is that its made by frequent conference speakers and developers of parts of the Angular stack themselves, so in many cases, we are getting the information straight from the development source or very close to it. Members of the Angular core team are frequent guests in this podcast. Is NativeScript the holy grail for mobile development? This podcast has the advantage that you can watch the video version of it on YouTube. The first podcast on Angular was the Adventures In Angular Podcast, and its a great resource for keeping up to date with everything Angular related: not only Angular but also Angular 1. The Angular core team members are also frequent guests in this podcast. This podcast is audio only and the episodes are around the 40-50 minutes mark, with the last 10 minutes being the weekly suggestions section. This makes it ideal to hear on your daily commute. Podcasts and blogs are are a great resource, but further in this post, we will learn about some video tutorial choices, starting with YouTube. This channel contains internal presentations on developer meetups at Google, where developers are given early previews of what will sometimes become official talks. The thing to bear in mind is that each video is the result of a meetup that might contain completely different parts. And the content of the middle and end of the video is not on the title so its does not get indexed very well. So again in the case of this channel, you really want to see the whole video, as each video contains a large variety of content. There are many hidden gems here, so yet another reason to subscribe to the channel. It's the official Angular conference in the US and the first original Angular conference. The videos and the speakers are top notch and the organizers have chosen a 20 minute format that makes it ideal for learning purposes. The videos are out very quickly after the conference, and conference is live streamed on YouTube each time. If you have to choose one conference to watch annually, take this one you can't go wrong with this cannel, here is this years playlist. The goal is to have a series of mini courses on a given topic (Router, Forms, etc. ), split in video lessons of less than 5 minutes. A developer will guide you through a framework feature coding example step by step in a conversational way, while still helping to keep the big picture in mind: by mentioning the "Why" and not only the "How". The format of short conversational video lessons is meant to be easy to consume outside of the prime learning hours of the day. Its much easier to learn something if a fellow developer guides us through it in a pair programming session (plus we have a replay button :-) ). You will always have the energy to watch a couple of well summarized, focused 5 minute of video a day. For example with Angular it might be possible and very viable in the future to build our whole application using it (both backend and frontend). More on this on a upcoming post. To keep up with the changes on the ecosystem, we need something to complement the existing forms of media. We could use short, well focused video tutorials that must be very easy to consume and very compatible with our jobs and commutes. In short, we could use a summary of what is going on, but we still need to see the code in action. 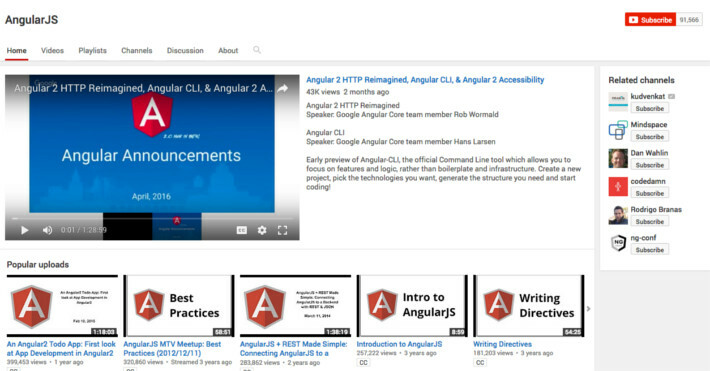 Have a look at the Angular University Youtube channel, we publish about 25% to a third of our video tutorials there, new videos being published all the time. Angular Change Detection - How Does It Really Work?